Tuesday. 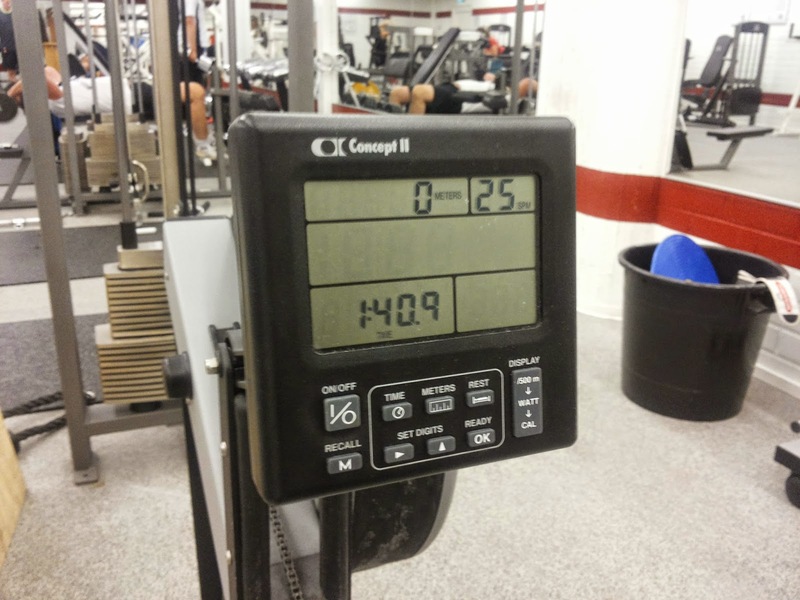 Row 8x500m with 90sec rest. Emom x 8min: 10 burpee. Today was a busy day. Normal day at work, then straight to watch a theater with Toni and our ladies, and finally Finland is attacking Russia on ice. It's gonna be a good game! I decided to sneak to the old gym by leaving work a bit earlier to find some time to workout. Classic row intervals and some burpees to finish the session. This is and has always been a good wod. Intervals - no matter if it's running or rowing - with rest between sets. Running has been 400m sprints and rowing either 400m or 500m. Rest should be within 1-2 minutes. Wasn't done with training after rowing. There wasn't much time though so I shook my legs and arms, and started moving around in the form of burpees. This was emom work, and I stuck at 10 burpees. Not much, I know, but at this stage it was perfect. I've practiced my shoulders and upper body more in the past days so I felt this in my shoulders for sure. It took only about 20+ seconds for each minute so there was enough time to recover before the next set.